The chakras are the energy centres of the body. By aligning and harmonising these, huge shifts and deep healing can occur in all areas of life. is located near the bottom of our throat, in between the collar bones. It governs our communication and self-expression, as well as our thyroid, throat, upper lungs and arms. 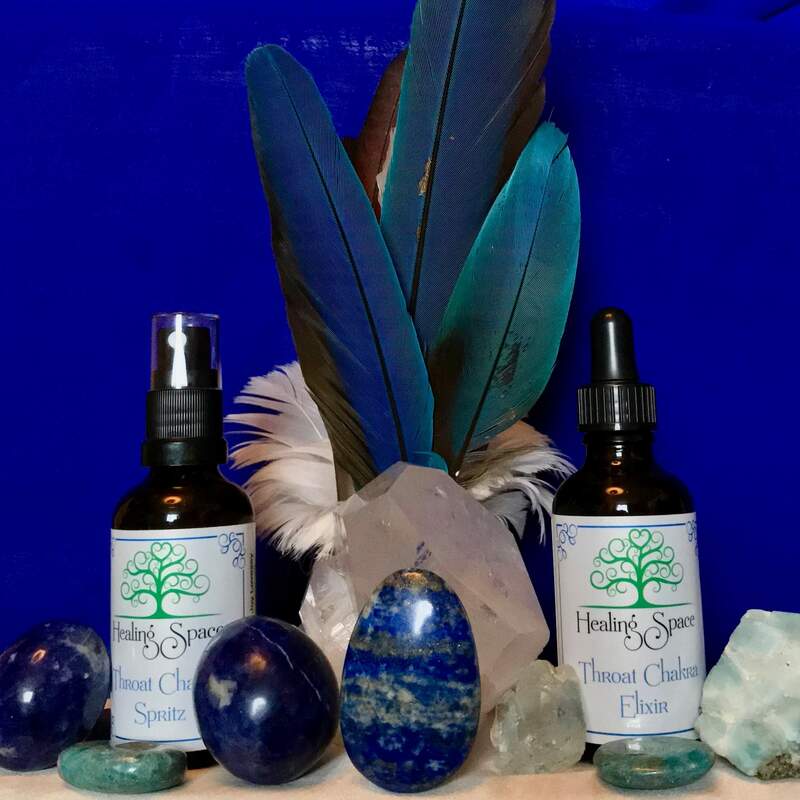 This essence holds the energy of vibrational essences of crystals of Blue Apatite, Yellow Apatite, Aquamarine, Lapis Lazuli, Iolite, & Quartz, which have been programmed with the highest vibrations and empowered in the light of the solstice sun and the full moon. It is aromatherapeutic, as it has been combined with Camomile hydrolat & Camomile essential oil*, along with alcohol to preserve the vibrations, and purified and infused water. 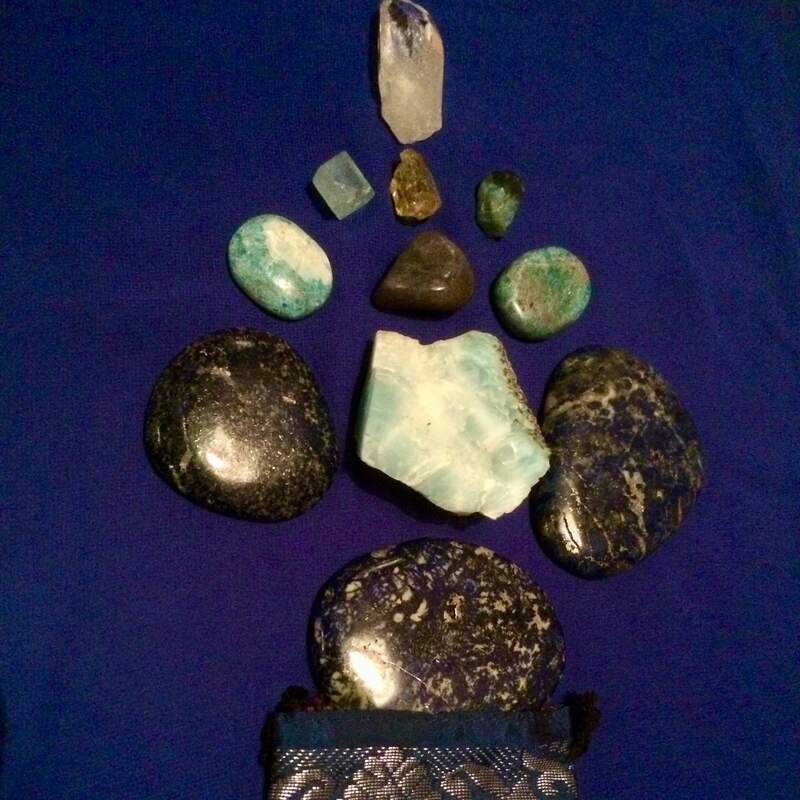 Wear, or surround yourself with the colour of this chakra - blue!